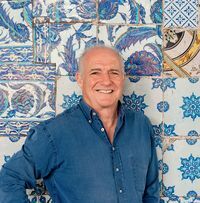 In Under a Mackerel Sky, beloved British chef Rick Stein tells the fascinating story of his life, from his childhood in Cornwall, to the tragic death of his bi-polar father, to his travels round the world and eventual return to Cornwall. 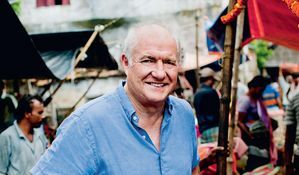 His passion for, and profound knowledge of, food runs like a thread throughout this evocative memoir. In this extract he reminisces about his boarding school, recalling with great clarity the pleasures of his school dinners there. Awful school food is legendary, but not true in my case. My memory of Uppingham is of standing outside the dining hall counting the seconds till the bell for supper, so hungry – so deliciously hungry – and then steaming in for roast pork with plenty of crackling, sprouts, apple sauce and thick brown gravy; or fish pie with mash topping and indifferent cod flakes made wonderful by a white cheese sauce with sliced boiled eggs and parsley in it and always soaked, boiled marrowfat peas. (If there is any legume more succulent I can’t think of it.) The roast beef was always over-done, not like at home, but with plenty of horseradish and really good roast potatoes it didn’t matter. 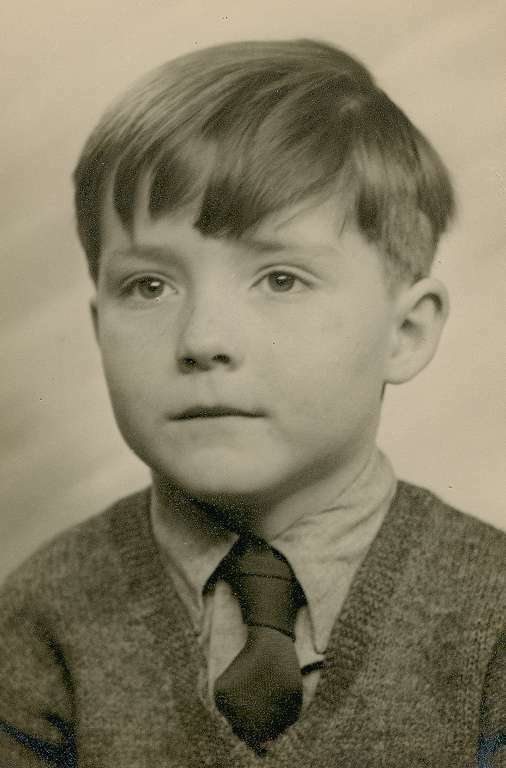 Perhaps the most loved school dish was mince and potatoes. I wonder if anyone does this in a British pub somewhere? Maybe it’s just too simple, but writing this gives me the thought of putting it on in my pub in Cornwall. As far as I can remember it was just minced beef, fried with chopped onions and carrots, then stewed with beef stock, salt and pepper. It was always served with cabbage and plainly boiled potatoes slightly falling apart. It was the sort of food that foreigners like to cite as an example of terrible British cooking. Try convincing a 15-year-old teenager that it was anything less than splendid. Of course we ate cottage pie (minced beef ) and shepherd’s pie (minced roast lamb left over from Sunday lunch). We also had steak and kidney pie from time to time, as well as kidneys and fried liver – and nobody complained about them. The puddings were the stuff of the Great British food revival, crisp-topped apple or rhubarb crumble, steamed treacle pudding with white plastic jugs of Bird’s custard. Treacle tart wasn’t as good as my mum’s – too many breadcrumbs – but I wolfed it down. In summer we ate strawberries and cream, and raspberries often, and large summer puddings. For reasons I can’t recall we were not allowed to drink tea after lunch or dinner in the houses. We just had water. At breakfast there was a dish which I’ve never seen since – bread fried in lard, then smeared with Marmite or Bovril with hot tinned tomatoes on top. Scrambled eggs were always overcooked and a bit tough, like most hotel breakfasts. We brought our own jams, honey, spreads and sauces into breakfast. At home I’d never been allowed brown sauce, and I took to it with gusto. Even as a teenager, I could taste and identify subtle differences. A1 Steak Sauce a bit thin; OK sauce rather sweet; Fardon’s Flag sauce both hot and sweet. 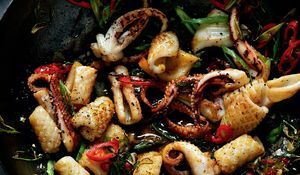 An ad for this in the 1950s was ‘What’s the sauciest sauce?’ ‘It’s new Flag, of course’. HP was sharper, Daddies peppery. Daddies had extra allure because it was the sauce served at the school buttery. The buttery sold the best cream slices I have ever eaten anywhere. The chef was an ex-Army baker called Sandy who made them every day. He used fresh whipped cream – not pastry cream – and his delicacy with puff pastry was peerless. On rugby match days Sandy cooked the fry-up against which all others were judged – eggs, bacon, sausages, fried bread, grilled tomatoes and baked beans with Daddies Sauce and mugs of hot sweet tea. You’ve had the communal bath in the pavilion. You’re aching and bruised. You smell of wintergreen liniment and carbolic soap, you’re warm and relaxed after the game which, though scary, you’ve won, and you and the whole Uppingham first XV and the XV from Rugby, Oundle, Tonbridge descend on the buttery for a ravening feast. Those are fond memories. 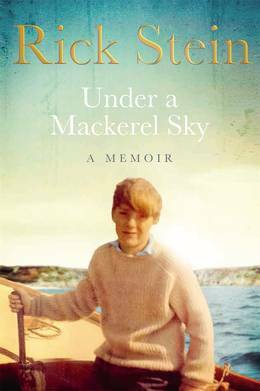 Under a Mackerel Sky by Rick Stein is out now in hardback. 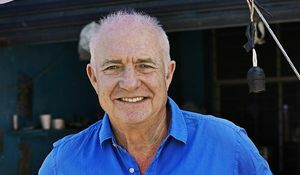 In this indispensable video guide, TV chef and seafood expert Rick Stein shows how to prepare squid for cooking.